Golden Mist homestay in Madikeri, Coorg offers visitors an escape from the weariness of city life. 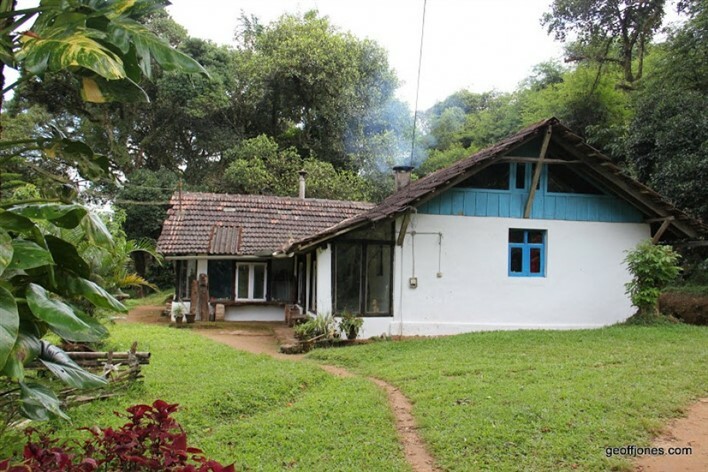 This serene abode lies in the Western Ghats in the Kodagu district of Karnataka. The homestay is part of the Golden Mist Plantation, an organic farm. For visitors who want to experience eco-tourism, a visit to the Golden Mist farm and homestay is the ideal choice. The beautiful location and the pleasant weather adds to the charm of the simple homestay and makes visitors want to come back for more. The Golden Mist Plantation was initially a cardamom plantation. In the year 1993 it was replanted with pepper, tea, coffee, vanilla, cardamom and rice. It has been farmed organically since then. The plantation was awarded the certification of an organic project by IMO (Institute for Marketecology), based in Zurich, Switzerland and Bangalore, India. The organic farm spreads across 10 hectares of land. The Golden Mist homestay offers visitors the choice of four guestrooms: a family cottage that can accommodate up to five people and a separate cottage with two double rooms and a single room. All the guestrooms are designed with a rustic touch. Each room has an attached bathroom equipped with shower. The cottages reflect typical south Indian clay construction. This ensures a cool temperature in the guestrooms. Visitors at the homestay are treated to hearty breakfast, lunch and dinner, available in both vegetarian and non-vegetarian categories. A highpoint of the homestay is the dining room situated next to the kitchen. It allows visitors to watch the meals getting prepared in the kitchen. Visiting the Nagarhole National Park (also known as Rajiv Gandhi National Park) to watch a wide array of wild animals and birds. Golden Mist homestay offers comfortable stay at affordable prices. For updated information on accommodation rates and payment methods visit their Guesthouses page. Golden Mist homestay lies between Mangalore and Mysore. It is situated at about 300 km to the northeast of Bangalore and is easily accessible by various means of transport. The nearest international airport to reach the homestay is the Kempegowda International Airport at Bangalore. The regional airport at Mangalore lies at a distance of about 140 km. The railway main stations located close to the homestay are at Kanhangad, Hassan, Kasaragod and Thalassery. These stations are about 115 km away and are well connected to several cities and towns of the country. There are regular bus services that can be availed by guests from several main towns and cities to reach the homestay. Guests can also hire private vehicles to arrive at the homestay. Golden Mist Plantation and Resort Private Ltd.